If you’re like a lot of homeowners, storage space can be sparse in your home and you’re always looking for places to store items not often used. One of the places you may be inclined to store some of these items may be your garage. You can consider built-in shelves and/or temporary units to be constructed to house your stuff when it comes to garage storage. While some items are OK to keep in your garage, there are definitely a lot that shouldn’t be kept there. We’ll spell these out for you below, to ensure your belongings are safe. You’ll be a garage storage expert in no time! So many of us buy paper goods such as paper towels, paper napkins, paper plates and such in bulk as those warehouse discount stores are a dime a dozen. While you may be saving on your paper good purchases when buying in bulk, you could be wasting the product if you store them in your garage. Mice, pests and other rodents love to burrow and make homes in these products. The last thing you want when you go to pull out some more napkins for dinner is to find bite marks or mice droppings. It’s best to keep these items inside your home. At the very least, store them in air-tight containers if you must keep them in your garage. There are many types of bins and containers that are perfect for garage storage. The same goes for linen. Critters love anything in the fabric world too. So if you keep tablecloths, linen napkins, etc. in your garage – it’s best to keep them inside. This is especially true of fine linens. You’d hate if they were ruined by humidity or mice. 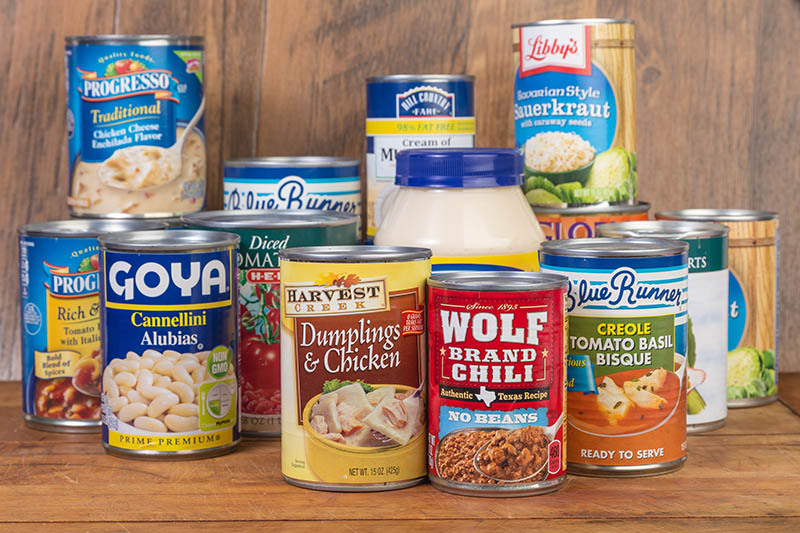 You may also be tempted to buy canned goods in bulk. However, if you’re storing these goods in your garage, depending on the temperature, it could really affect how long they will last. In the winter, the stored items have the potential of freezing and thawing over and over with extreme temperature shifts, and that is most certainly not good for the food. In the extreme heat, canned goods good spoil much faster. Food stored too long in a place with temperature swings could also result in the food losing its flavor. What good is buying extra soup and your favorite veggies if they taste bland or spoil after months of improper storage? Like your paper goods, keep these items inside your home. 3) An Extra Fridge is Costing You Money! A refrigerator is one of those household appliances that is constantly running to keep your food at a safe and proper temperature – usually 38°. If you have a large family, or like to have lots of extras of your favorite food and beverages on hand, you may have an extra fridge in your garage to store it all. The problem is during the hot summer months, the temperature rises quite a bit inside your garage. That being said, your fridge has to work harder to keep the temperature inside at the proper levels. What you may be saving in bulk buying could end up costing you even more in your electric bill during the summer! What’s more –most people use older fridges and freezers as their extra one when they replace the main one inside the home. If that’s the case, the fridge you’re using in your garage may not be Energy Star. There have been a lot of advancements over the past decade with energy efficient appliances, so an old fridge in a hot garage will be working way too hard and costing you way too much money. Is it worth it? Keeping an extra fridge or freezer in your basement may be a better way to go. 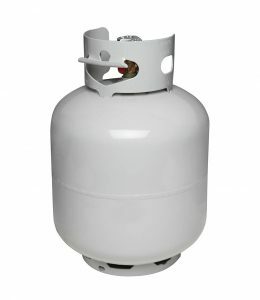 You may not know it, but it’s actually OK to store your propane tanks outside. They have a very low freezing point (-310° F) so it’s perfectly fine to leave the tanks in your back yard, on the side of your home, in a shed – anywhere outdoors and well-ventilated. Storing the tanks in your garage is a problem. That’s because there is that there is less ventilation, so there is a higher risk of the tank being ignited by your car. It goes without saying, you don’t want an exploding propane tank in your garage – whether it’s attached to your house or not. 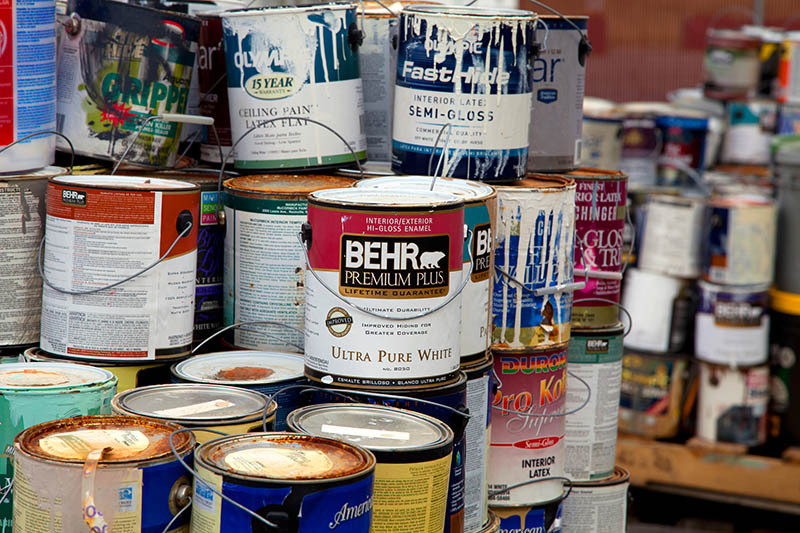 Storing paint in your garage seems like it would totally make sense. You don’t want to throw away half-used cans of paint that you’re keeping around for future touch-ups. The problem is, paint won’t last as long and the color could fade if you leave your paint in the garage. The higher temperatures damage the composition of the paint. Most garages get pretty warm in the summer. So that vibrant blue paint could become a soft pastel in a short span of time. Move that paint to a shelving unit inside. You’ll be able to re-open the paint can down the road with no change in color. Again, if space is an issue in your home, you may be storing old electronics in your garage. Maybe you’re saving them for one of your kids to use one day when they move out, or storing something for a friend. Regardless the reason, electronics could become damaged with the extreme heat of a garage. Many components in some electronic equipment can be quite sensitive, and the heat could do a bit of harm. It’s best if you keep old stereos, TV, small kitchen appliances or anything else that can be plugged in – inside. Or better yet – tell your friends you don’t have room to store anything and keep your garage nice and clean. Your garage storage should be for your stuff, not someone else’s! It may not make sense as you keep your car in the garage, and no doubt there’s gasoline in your car. 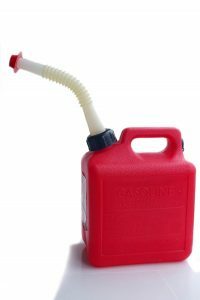 However, you need to take extra precaution in storing gasoline you have on hand for your lawnmower, snow-blower or generator. Ideally, you should store gasoline in a well-ventilated area. However, most folks do find the garage the most convenient place to store this. After all, you certainly don’t want to keep that stinky gasoline inside your home. It’s OK to store gas in the garage under certain conditions. You must store it in an approved, tightly sealed red plastic (or metal) container. The container must also be under 5 gallons in size. If you don’t have one of these containers, gasoline is a no-no for the garage. This is especially true if you have any appliances in the garage that have a pilot light – like a heater. You don’t want to risk ignition and a fire. Approved gas containers are relatively inexpensive and worth the investment and safety of your home and family. And you’ll feel better knowing you are practicing proper garage storage for your gasoline. Well, you can enjoy your wine inside or outside, but please don’t store it in your garage. With fluctuating temperatures, wine can go bad very easily. Bottles can expand or contract and the temperature changes could result in oxidation. This will greatly change the flavor of your favorite Pinot or Chardonnay. It’s best if you store your wine in a wine refrigerator or special cabinet inside your home – anywhere you can regulate the temperature year round. While we’re definitely moving into a more digital age, and fewer folks actually print photographs anymore, you probably have many old albums from your childhood. Or you could be holding on to boxes of old photos from your parents. Either way – the garage is not the place to store these precious memories. The humidity that can seep into your garage can cause damage to photographs, causing them to stick together. The color could also fade if any natural light enters the space. It’s best to keep photos inside. Better yet – take a long weekend and convert old photos to a DVD or flash drive. Then you can view them at a moment’s notice. Keeping your garage uncluttered is the best thing you can do. If items are stacked too high on shelves, it’d be easy enough for them to fall and either damage your car or family members. Too much stuff also could become a fire hazard. What SHOULD You Have in Your Garage? We’ve gone over what you shouldn’t keep in your garage. But what should you have there – besides your car of course? It’s perfectly acceptable to keep tools and hardware in your garage. Just make sure to keep them organized so you don’t waste time looking for what you need. A sturdy shelving unit, possibly attached to the wall, is a great way to store seasonal items, outdoor toys and yard tools. If you absolutely must store paper goods in your garage based on space limitations in your home, you’ll need to get an airtight bin to keep out any humidity and critters from damaging your items. Finally, it’s always a good idea to install a smoke detector in your garage. Most folks don’t, but it could do wonders in protecting your home and family from an unexpected fire. There’s something else you can consider to help keep any items safer year round. Replace your garage door. The insulation from a new garage door can help regulate the temperature to some degree. Fresh weather stripping at the bottom of the door can help prevent snow and rain from sneaking into the garage. Weather stripping will also deter mice and other critters from entering. As you have read, there are many things to keep in mind when it comes to garage storage dos and don’ts. There are many things you shouldn’t store in your garage. While space can often be tight, and more and more folks are buying in bulk and need more and more storage. The garage is not always the answer. It’d be a better idea to invest in some great storage and shelving units for inside your home. This will help you stay organized and keep all your extra stuff. Let your garage be for your car and some simple storage for items safe to keep in there. It’ll be much more enjoyable pulling into your garage every day knowing you followed these garage storage tips!